Make delicious homemade ice cream that you can fully customize to taste with the Whynter ICM-201SB 2.1 Quart Upright Ice Cream Maker. 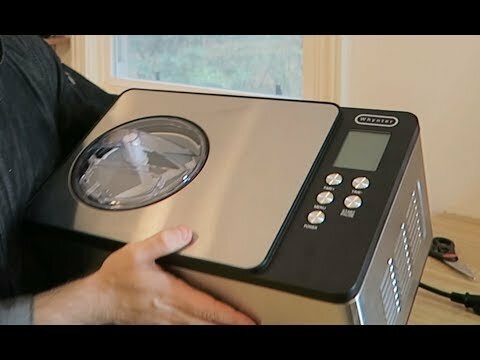 Incredibly easy to use, you can create delicious ice cream, rich creamy gelato and sorbet all in the comfort of your own home. Designed with an upright, small footprint profile, this space efficient ice cream maker fits easily on any countertop. The unit can be operated in three convenient modes: Ice Cream mode, Cooling only mode and Mixing only mode. Also, if you need to add your favorite fruits for flavor, or check the consistency of your ice cream, you can simply use the Pause button to pause the cycle. It features a sleek stainless steel exterior and soft touch LCD control panel that will accent any kitchen counter. 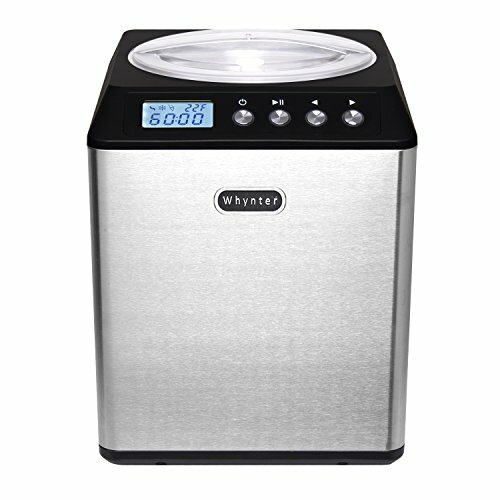 Upon completion of the cycle, the Whynter ICM-201SB prevents the mixture from melting and a Motor Protection function that stops the motor from churning to prevent overheating or damage to the motor when the mixture becomes solid. It also features a built-in powerful compressor freezer that allows for continuous use without the inconvenience of having to pre-freeze the mixing bowl. Not only is it so much easier, it also tastes a whole lot better.